The stamp of Supreme Court on the constitutional validity of Aadhaar – introduced by UIDAI – Unique Identification Authority of India - is not a good news for Modi government but for all those who support the transparency in government schemes and services and were watching for its best use to curb the misuses of such services. Aadhaar is a 12-digit unique identification number that can be obtained by residents of India, based on their biometric and demographic data, to bring efficiency and transparency in the government system and schemes. The decision of Supreme Court on Aadhaar is also important and balanced that while it has been termed as unique identification card over its attack on individual’s identity, it has also dismissed the opinion of those who were advocating its unwanted use. Naturally, its proper use was becoming difficult to understand as to why it is being made mandatory for admissions in schools and exams? Likewise, giving permission to private companies to make its use was not understood. Supreme Court has taken a right decision to reject such provision for private companies that it is becoming a tool of spying of the people. Unfortunately, such logic was also being floated by the Congress leaders, with whose initiative Aadhar came into existence. It could definitely be said a unique and different issue as who initiative its move, stood against it. They did not feel it, by doing so, as to what the promoter of Aadhaar –Nandan Nilekani – is saying? It is good on the part of the Supreme Court, it has acknowledged its need in certain matters. At the same time, it looks to be a mockery that critiques of the decision of Supreme Court are happy over it as a jolt to the government. But it is clear from the decision that the court holding good the introduction of Aadhar has dismissed its unnecessary use only. Perhaps they want to say that the court has shown a green signal for filing a tax return by linking it with the PAN card. It is a fact that Supreme court has not agreed to the logic of government for attaching it with bank accounts but it cannot be said to be overlooked as it has not said that PAN card will not be demanded from the bank account holders. 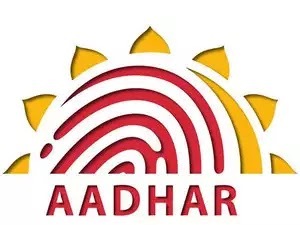 It is pertinent to mention here that Supreme Court has said the Aadhar as helping hand and power of poor and also made it clear that its use will be applicable in subsidy and public welfare schemes. No doubt, one of the five judges’ benches has given a dissent note to the decision but that has its own importance. But above all is, Supreme Court has made stronger the foundation of Aadhar. Ultimately Aadhaar got the foundation…!